Welcome to Champion Cheer Athletics! We are a new cheer company in Los Angeles. We specialize in cheerleading training from tumbling, stunting, strength training, coaching, consulting, and competitive cheer teams. The mission of Champion Cheer Athletics is to build strong, competitive athletes and children. Our goal is to "build the champion inside and out". We want to give the athletes who work with us the tools to grow physically and mentally, while achieving individual and team goals. 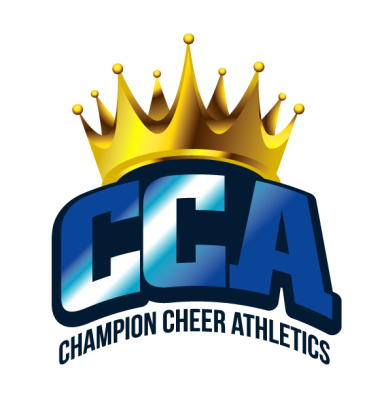 CCA's staff is PASSIONATE about using the best techniques to progress our athletes through the sport of cheerleading. We practice safety equals success mentality and follow proper progress while also evaluating the best need for each athlete. When you enter the doors of CCA, you are family. Working towards the common goal of success. Join us today! BE A CHAMP! Kristy King is the owner of Champion Cheer Athletics, LLC. She has over 20 years of experience in the cheerleading industry. She has been a competitive cheerleader, coach, choreographer, consultant, competition judge, and All Star Program Director. She was a scholarship collegiate cheerleader at George Mason University and has worked professionally as a camp instructor for the Universal Cheerleaders Association. King has been involved with the development of cheerleading programs in the U.S. for over 10 years working with various youth, high school, all star, and college programs, leading respective teams to local, regional, and national championships. In 2013, King’s West Torrance high school cheer program won 2 National Championships in both Junior Varsity and Varsity divisions. Coach Tony started cheering at age 7. He started at a small gym called Synergy Allstars. From 2011-2013, he competed with Synergy Allstars winning his first JAMZ National title. From 2013-2015, he competed on 3 teams with Pacific Coast Magic, where he won another JAMZ National title, 2 USA National titles, and a Best Male Performer award at Encore. From 2015-2016, he cheered with the California Allstars in Ontario, California. His team, Onyx won a American Showcase National title and The Summit title. He will be returning to the California Allstars to compete with the International Open 4 team. Coach Tony has been coach Cheer and Tumbling for 3 years. He has coached levels 1 through 3. He approaches every team ready, to give his athletes everything they need to succeed. He coaches with passion and expects nothing less than perfection. His goal for his teams is to send the athletes on the floor with a hard hitting routine and make them confident performers that will surpass any other team. His motto is "I don't do ugly cheerleading" that drives him to make the best teams in the country. Coach Lavel Butler has over 6 years of cheerleading experience. He started cheering in high school and cheered at Leuzinger High School. After high school cheer, He went on to cheer with LAX All Stars on their senior three and 4.2 teams, as well as, Nationally Ranked Santa Monica College. While with Santa Monica, He was given the opportunity to be in Taylor Swift's music video for Shake It Off. This year is fourth year of coaching,. He coaches at Gahr High School. He previously coached at Price High School and Lawndale High School. This summer, Lavel will be a instructor for JAMZ Cheer and Dance. He is excited to be a part of Champion Cheer Athletics and is looking forward to this season.